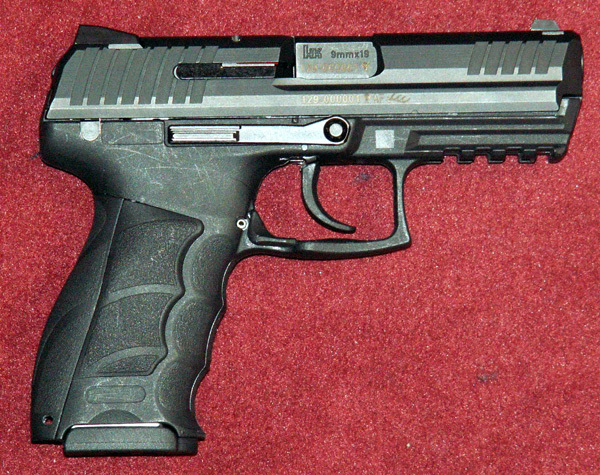 The new HK P3000. This photo was taken at the Milipol Paris 2005 show that ran from November 22-25, 2005. The latest from HK appears as a further refinement of the P2000 pistol, with a now standardized integral rail and improved grip surface with not only interchangeable backstrap like the P2K, but also interchangeable side panels. This example is in 9mm x 19, but it is unknown at this time what if any other calibers are to be offered. 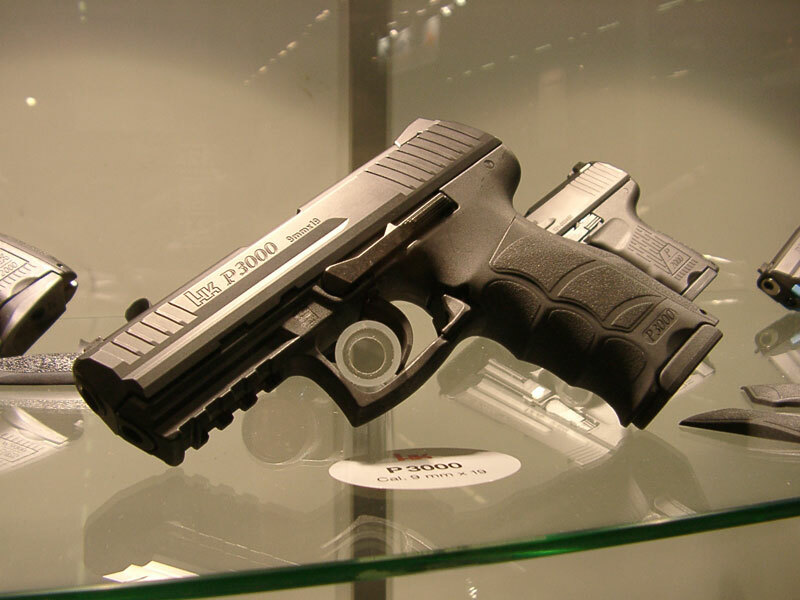 Sources in Europe advise that it is uncertain at this time whether the P3000 is to be actually produced. It was reportedly shown at Milipol to gauge interest. 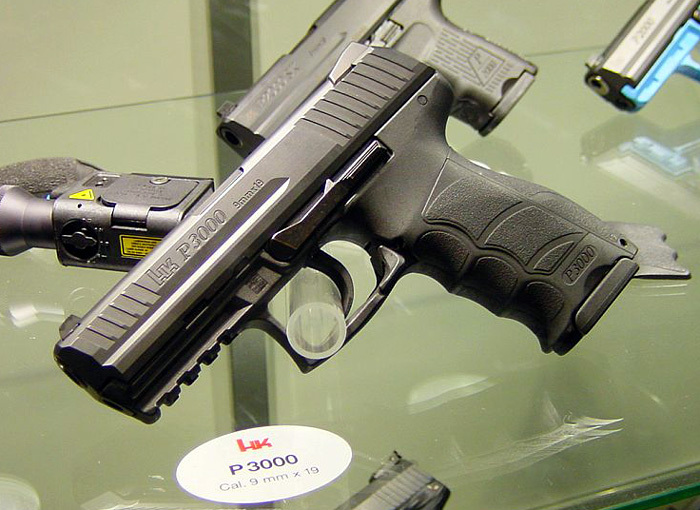 Update: It appears that the P3000 pistol is slated for production, and has been given a new name: P30. What is still unclear as of this writing, is whether the P30 will be imported for American consumption. 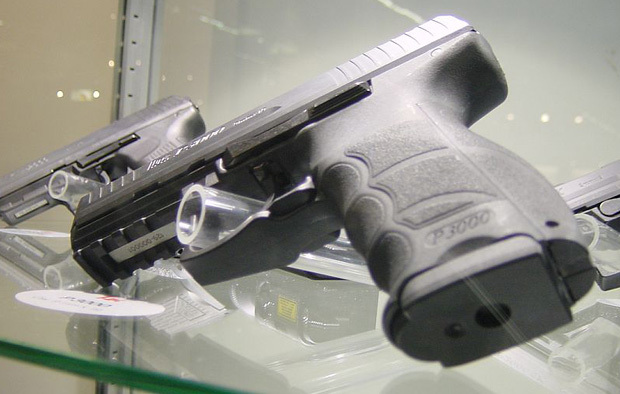 P3000 serial number visible in front of trigger guard. A very collectible first edition, serial number 129-000001. A little more side on view. P3000 from the right side. 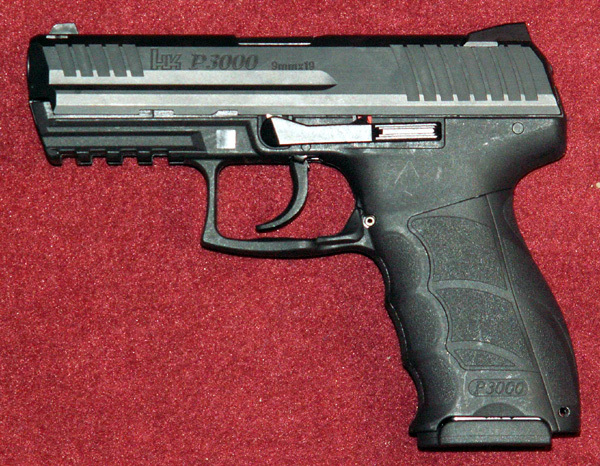 This is the same pistol as in the intial Milipol display, serial number 129-000001.